Amy is a writer chiefly of long fiction, and has been writing novels since age eleven. Starting out with fantasy, she switched to historical fiction when she was eighteen after winning the Chalke Valley History Festival’s novel competition. She has written adult novels set in the French Revolutionary, Napoleonic and medieval era. 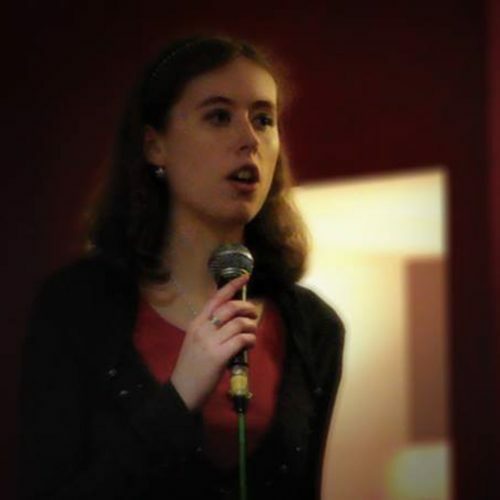 Although long fiction will always be her first and true love, Amy sometimes writes poetry, and has performed at live events such as the Ilkley Literature Festival and Lancaster’s Spotlight. Amy studied at Lancaster University, gaining a 1st in English and Creative Writing. She is currently working on a series of books for younger readers that combine fantasy and gothic genres with historical settings.